ABB is delivering a new distributed control system for the desalination plant at the Dubai Aluminium (DUBAL) smelter complex in Dubai. The solution is one of several that ABB has recently provided for this vast power, water and production complex, widely considered the industrial flagship of Dubai. DUBAL operates one of the largest single-site aluminum production complexes in the world. Built on a 480 hectare site, the state-of-the-art smelter complex comprises 1,573 reduction cells arranged in seven potlines, a 2,350 megawatt power plant, a desalination plant that produces 113.5 million liters of distilled and potable water a day, and various other facilities including a carbon plant, casting houses and port. The smelter produces more than one million tons of molten aluminum a year. ABB has a large installed base of control systems at the complex, and has been a supplier of choice throughout DUBAL’s 34-year history. In fact, ABB’s Procontrol P14 and Advant systems are at the heart of the site’s power generation and desalination processes. Between them, the two automation platforms control most of the gas and steam turbines and boilers at the power plant, as well as the steam turbines and pumps at the desalination plant. In the past few years, DUBAL has awarded ABB several contracts to upgrade or maintain the Procontrol and Advant control systems that monitor, control and optimize the performance of the steam turbines, gas turbines and boilers at the DUBAL power plant. After experiencing the performance of the upgrades and ABB’s project execution capability and commitment to service, DUBAL decided to replace the existing third-party distributed control system at the site’s desalination plant with ABB’s Procontrol P14. In switching to Procontrol P14, DUBAL is set to gain a raft of operational and cost benefits. Procontrol P14 is renowned among operators for its ease of navigation. It has one of the fastest response times of any distributed control system on the market and one of the best track records in mean time between failures (MTBF). Technip confirms that with its partners it has finalized the award by JSC Yamal LNG of a very major contract for a liquefied natural gas (LNG) facility with a capacity of 16.5 million tons per year (Mt/y). The project will comprise three liquefaction trains of 5.5 Mt/y that are among the world's largest and will make extensive use of modularized construction in yards. Technip, for the past 14 months, has been involved in providing project planning, detailed engineering, estimation and procurement work for the client. This early engagement gives a comprehensive understanding of the project, around which the project execution plan has been built and handover of the first train is planned for 2017. Technip will recognize order intake estimated at euros 4.5 billion across the second and third quarters 2014. Following the successful estimation, early detailed design and procurement activities, this award validates the Group’s strategy of early involvement to design an effective project execution scheme bringing value to clients. Yokogawa Electric Corporation announces the receipt of an order from Hyundai Heavy Industries Co., Ltd. to supply control systems, safety instrumented systems, analysis systems, and other products for Stage-1 of the Jeddah South supercritical oil-fired thermal power plant*1 project in Saudi Arabia. The joint order recipients are Yokogawa Electric and a subsidiary, Yokogawa Middle East & Africa B.S.C.(c). *1 With this technology, pressure and temperature are kept above the critical point as steam passes from the boiler to a steam turbine. This allows power to be generated more efficiently and reduces greenhouse gas emissions. *2 Based on the IEC61850 international standard defined by the International Electrotechnical Commission (IEC), electrical systems throughout this plant, including more than 750 intelligent electronic devices (IEDs) as well as all statistical and tariff energy meters, need to be integrated with the CENTUM VP DCS. 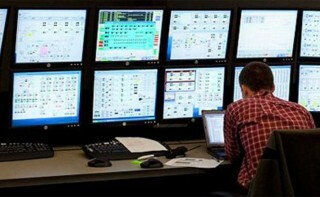 Yokogawa is thus providing an integrated operational platform for this very large power plant. *3 The TDLS200 boasts a fast response time and is used in combustion processes. One such application is the continuous measurement of residual NH3 in the denitrification process, which removes NOx from the exhaust gas produced as a result of the combustion of fuels in a boiler. There is a rising need for such continuous measurement solutions as they help to reduce corrosion to plant equipment and also protect the environment by reducing the emission of large amounts of ozone depleting gases. Yokogawa Electric Corporation has won an order from Hyundai Heavy Industries to supply various systems and products for Stage-1 of the Jeddah South supercritical oil-fired thermal power plant 1 project in Saudi Arabia. The joint order recipients are Yokogawa Electric and a subsidiary, Yokogawa Middle East & Africa, said a statement. The order includes control systems, safety instrumented systems, analysis systems and other products. Jeddah South will be Saudi Arabia’s first supercritical thermal power plant, and is being built by a state-owned Saudi Electricity Company. Stage-1 of this project involves the construction of four 723 MW units producing a total of 2,892 MW. Unit 1 is scheduled to start operation in 2017. The consortium, comprising Technip and Heerema Marine Contractors (Heerema), was awarded a major lump-sum contract by Total E&P Angola for the engineering, procurement, construction, installation (EPCI) and pre-commissioning for the SURF (subsea umbilicals, risers and flowlines) part of the Kaombo project, located in Block 32 offshore Angola in water depths up to 2,000 meters. The contract is valued at approximately USD 3.5 billion with a Technip share of around 55% and a Heerema share of around 45%. This project falls within the Technip Heerema strategic alliance formed 15 months ago that offers comprehensive subsea solutions through a unique combination of complementary assets, technologies and capabilities. It provides the industry with a strong and experienced contractor to address the ultra-deepwater market. The engineering work will start immediately in the Paris (France), Leiden (the Netherlands) and Luanda (Angola) centers with most of the offshore installation activities being scheduled for 2016 and 2017. National content is of strategic importance to Technip and Heerema and their Angolan subsidiaries will bring their competencies and expertise to the project. Technip Angola Engenharia will provide engineering and project management services, while Angoflex will fabricate pipeline stalks and execute spooling services to the installation vessel. Heerema Porto Amboim will provide fabrication services for the subsea structures as well as double jointing of line pipe sections that later will be installed by the Deep Water Construction vessel Balder.